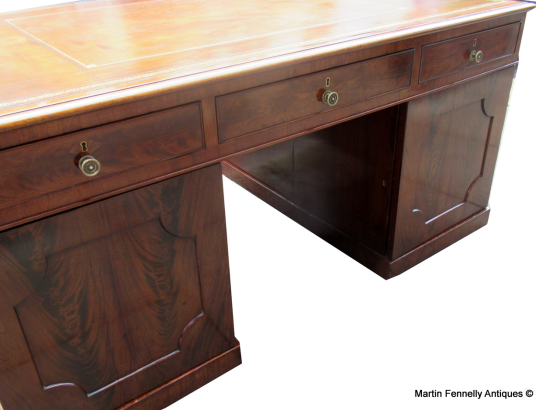 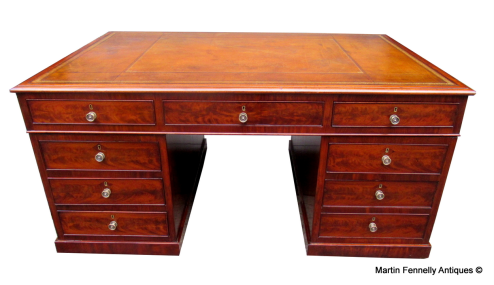 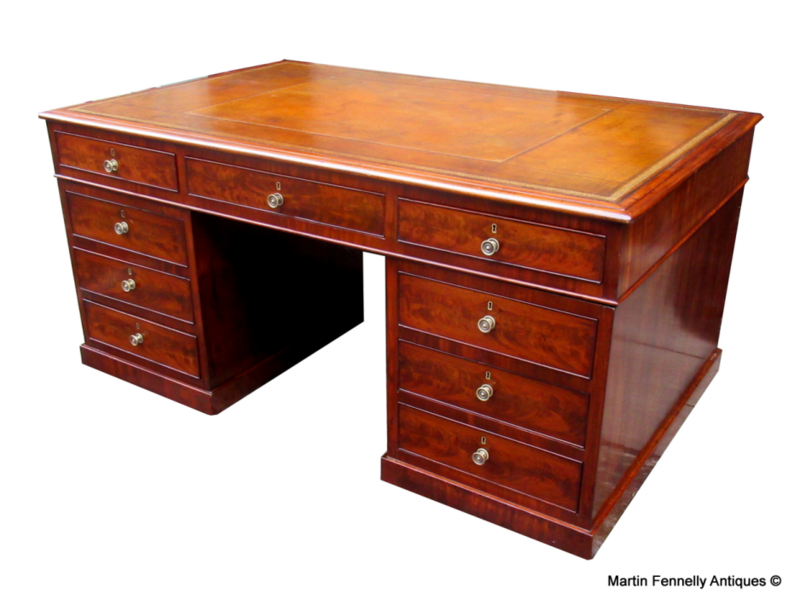 This is a superb George IV (Circa 1825) Mahogany Partners Desk, moulded top with inset gilt tooled leather. The front with an arrangement of nine beaded drawers with brass handles, the back with three drawers over panelled cupboard doors. Raised on a plinth base. 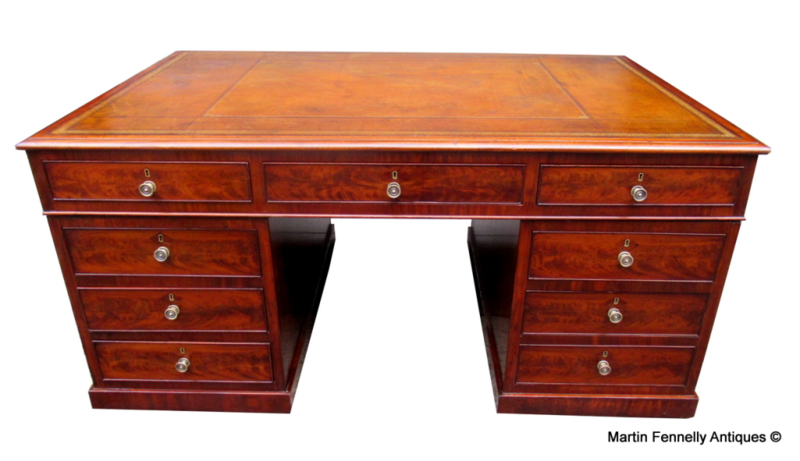 This desk is in excellent condition and has a deep rich patina. 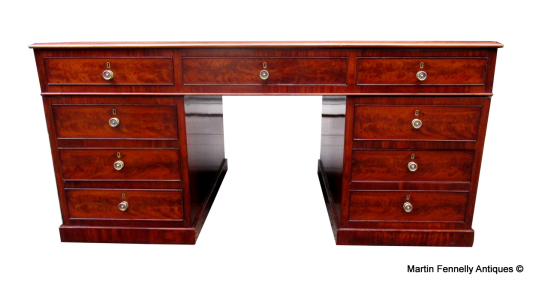 The Drawer fronts with a rich burl veneer make for a striking view. 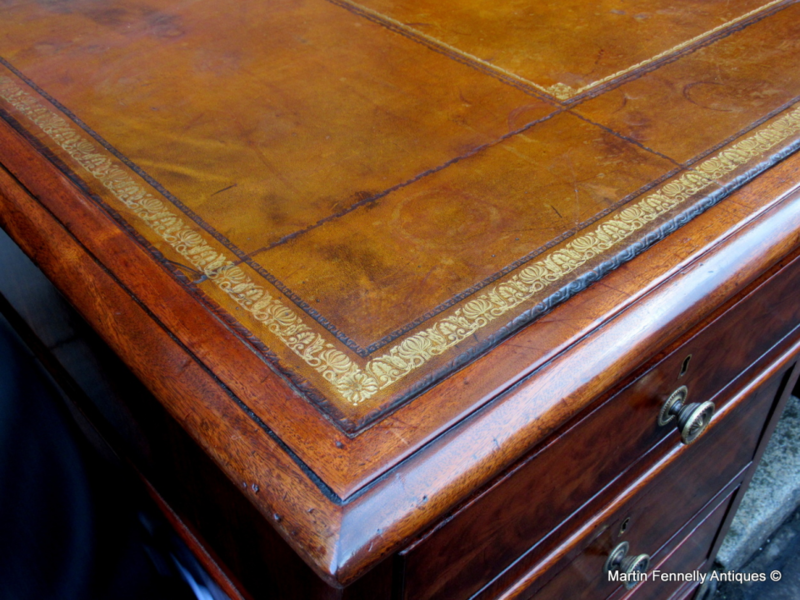 Returned from our Master Restorers (Lancaster Antiques) today.